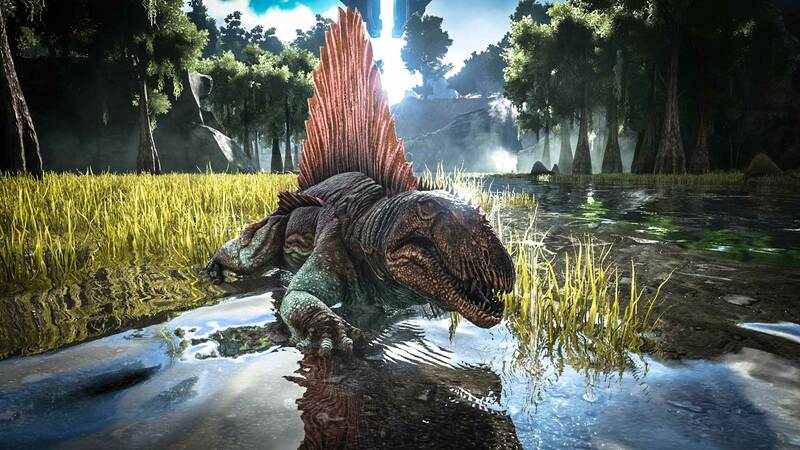 For Ark: Survival Evolved, it’s a good time to be on the virtual shelves, as reports show the game has reached new heights in terms of sales, which has caused it to double down on mod content. According to the announcement made by developer Studio Wildcard today, the game has officially surpassed the milestone of 1 million copies on Xbox One and over 4 million units on PC. Regarding modding news, creators revealed a new mod program for the dinosaur game, which allows users to submit mods. If they’re good enough, they might even make it to the official Xbox One and PC versions of the title. The first of the mods is already scheduled to be released in May, and it’s going to be a map dubbed The Center. Studio Wildcard described the map to be massive – “more than double” the content of the initial game. Moreover, the summer also brings good news in terms of another mod called Primitive Plus. It’s noteworthy that these mods have already been made available on PC, but the creators have now released them on Xbox One, as well. Studio Wildcard also announced today that Ark will be fully released for holiday 2016 for PC, Xbox One, and PlayStation 4. According to previous data from the developers, the game was due out in the summer. When the game was first confirmed, there were only 70 dinos, but the number has gone up to over 100. Rapczak added that modding, split screen, local multiplayer, and numerous other upcoming features were never in the original plan for Ark. Because the game at launch will be significantly more robust than the initial plans, it took some extra time to wrap it all up. So far, the Xbox One edition of Ark can be played through the console’s Game Preview program, while the PC version is available on Steam Early Access. In other Ark-related news, the free-to-play spinoff Ark: Survival of the Fittest will also be launched on PS4 this summer. PC owners already have access to it, and a Xbox One version of the game has yet to be announced. Studio Wildcard remains in the eye of the public after it recently settled a lawsuit with Dungeon Defenders developer Trendy for a $40 million, as reports would have it.